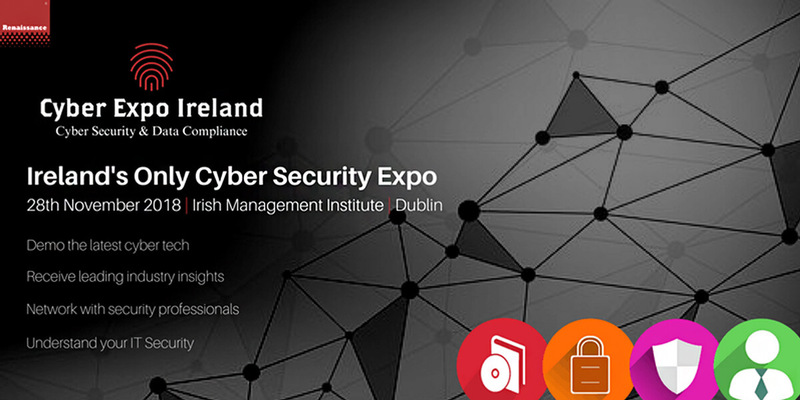 Renaissance is delighted to announce the return of Cyber Expo Ireland at the Irish Management Institute (IMI). Responding to market pressure and an increased customer demand to understand practical solutions to avoid or recover from cyber attacks, we have brought together global leaders in the cyber solutions space. This one day expo will bring together the whole cyber ecosystem- Exhibitors, Re-sellers, End Users, IT experts and general business thought leaders keen to understand what they can do to mitigate security risks to their business. The Expo will be open to IT Trade and End Users in the Irish market. There will be heavy focus to attract value added partners to the Expo, while also keen to attract SMB and Corporate Users to demonstrate how they can apply Data Security and Compliance solutions within their organisations to develop and deliver their GDPR and other regulatory requirements.